Rich in evocative physical detail and timeless human insight, this debut novel set in the Civil War era rural South considers themes both grand (humanity's place in nature) and intimate (a love affair transformed by the war) as a wounded soldier makes his way home to the highlands of North Carolina and to his prewar sweetheart. Shot in the neck during fighting at Petersburg, Inman was not expected to survive. After regaining the strength to walk, he begins his dangerous odyssey. Just as the traumas of life on the battlefront have changed Inman, the war's new social and economic conditions have left their mark on Ada. With the death of her father and loss of income from his investments, Ada can no longer remain a pampered Charleston lady but must eke out a living from her father's farm in the Cold Mountain community, where she is an outsider. Frazier vividly depicts the rough and varied terrain of Inman's travels and the colorful characters he meets, all the while avoiding Federal raiders and the equally brutal Home Guard. The sweeping cycle of Inman's homeward journey is deftly balanced by Ada's growing sense of herself and her connection to the natural world around the farm. 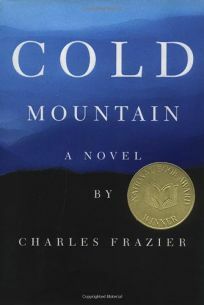 In a leisurely, literate narrative, Frazier shows how lives of soldiers and of civilians alike deepen and are transformed as a direct consequence of the war's tragedy. There is quiet drama in the tensions that unfold as Inman and Ada come ever closer to reunion, yet farther from their former selves. BOMC and QPB selections; paperback rights to Vintage; rights sold in Germany, the U.K. and France; film rights sold to Lynne Pleshette. (June) FYI: Frazier's great-great-grandfather was the source of this story about a Civil War soldier who deserted and walked home.